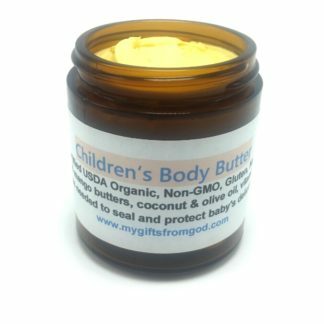 Our Baby Body Butter is a pure, organic, vegan, gluten free, nut free, and fragrance free product. And NO toxins of any kind ever! 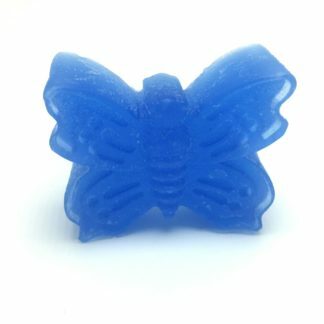 It is unscented and perfect for those with allergies and sensitive skin. Ingredients: organic shea butter, organic mango butter, organic coconut oil, organic olive oil, vitamin E oil. 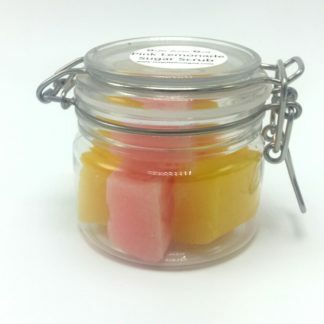 Comes in a 4 oz amber glass reusable and recyclable jar. I am using this on my newborn baby and not only is it safe for her skin but it also makes my baby’s skin oh so soft! 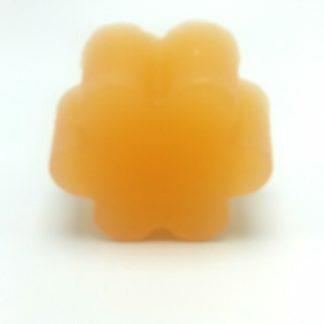 Great product!! 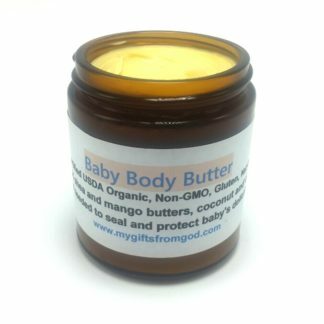 My daughter has been using Baby Body Butter provided by Mrs. Pattie, since she was 2mo. 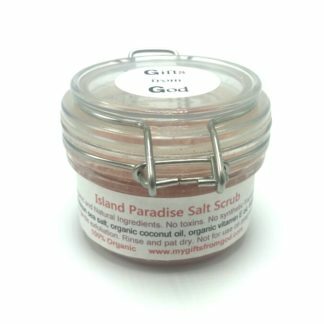 We tried using other products, but my daughter would break out with small rashes on her face. Mrs. Patti’s Body Butter is the only product that doesn’t leave her skin dry, too oily, or in some cases as some of the other products have left leaving her skin and my hands sticky. 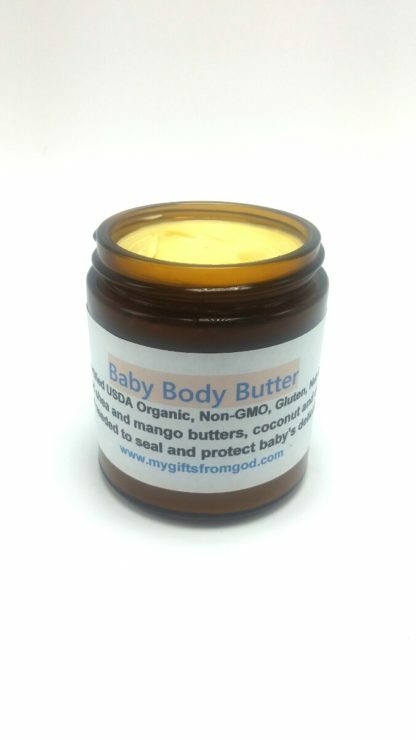 The Body Butter also smells really nice after a bath with soap, also made by Gifts from God. Thank you so much Mrs. Patti for taking the time to research on how to make natural products safe for our babies.